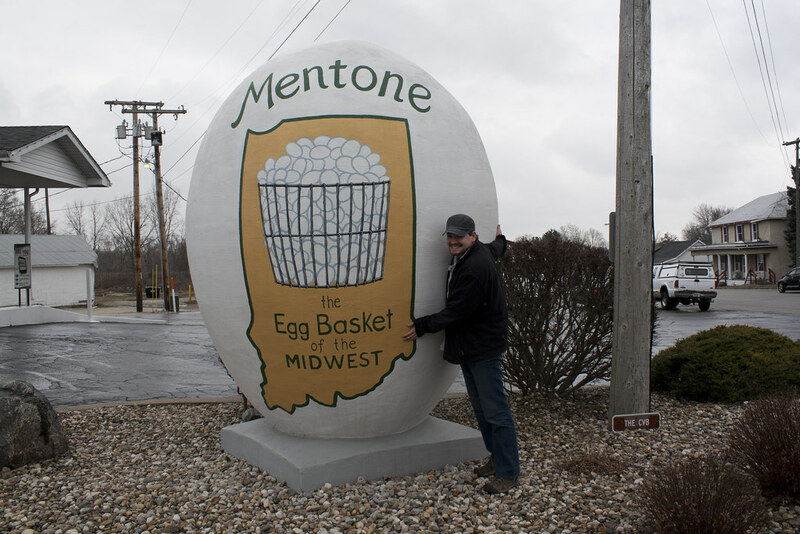 I remember hearing there was a giant concrete egg in Mentone, Indiana, so of course, we detoured. And it deliver everything promised. It's giant, it's concrete, and roughly in the shape of an egg. Our search of strange roadside attractions begins.